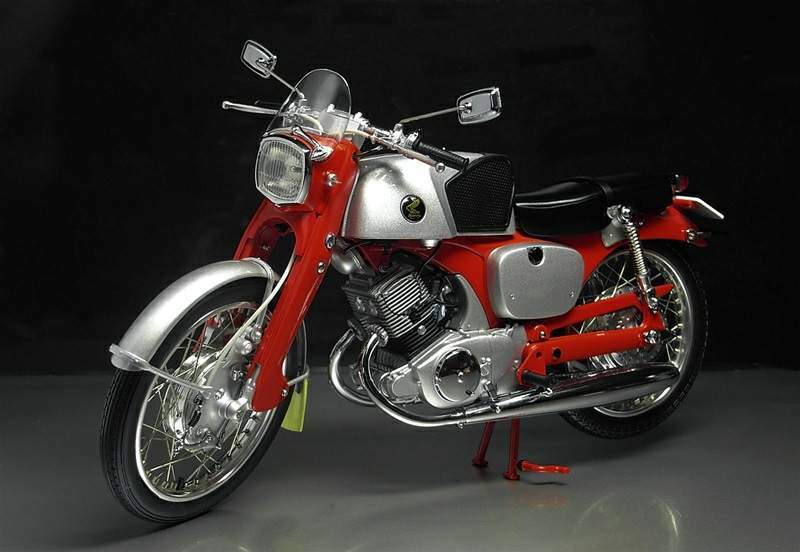 Even though there have been some 160 different makes of Japanese motorcycles, the history of the Japanese motorcycle industry didn't really get under way until after World War II. The rise of the industry was led by Soichiro Honda, an inventor-engineer who began in 1946 by converting government surplus generator engines to power bicycles. Honda built his own "chimney" 50cc engines (so called because they were tall and smoked a lot!) and in 1948 founded the Honda Motor Company. In 1949, Honda was the first Japanese manufacturer to make both engines and frames. Honda visited the Isle of Man TT for the first time in 1954. in 1959, its first TT, Honda won the 125cc manufacturers' award. 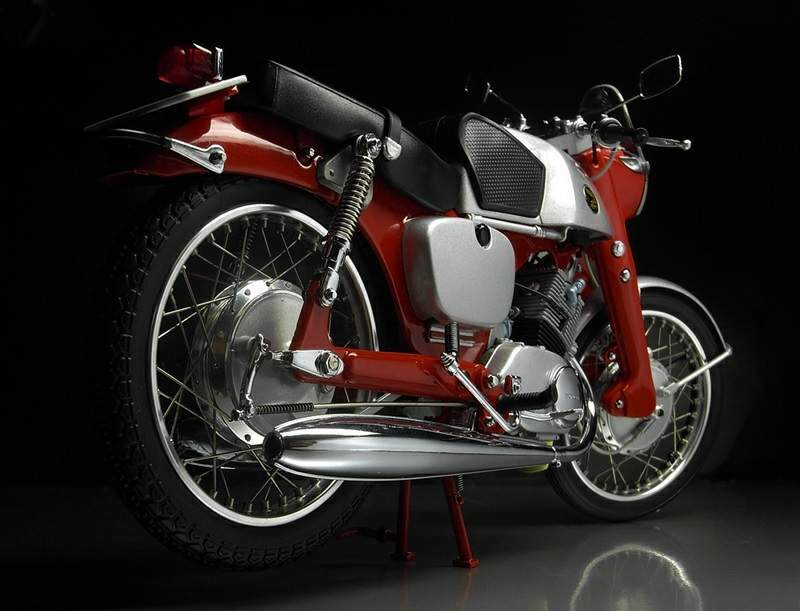 The Honda motorcycle quickly established its own identity with advanced features like overhead camshaft in 1955, and an electric starter 125cc in 1958. In 1955, the maker opened an overseas branch in the United States. 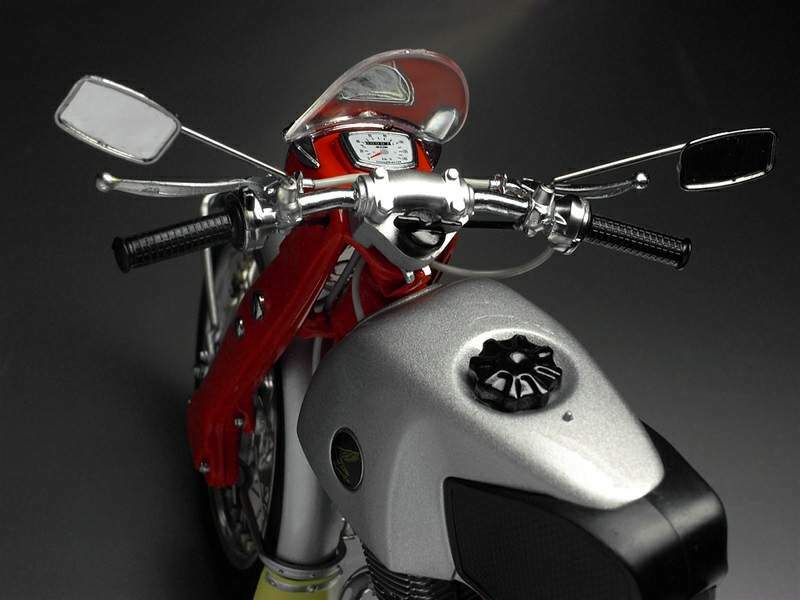 Honda offered world markets a new type of sporty, well equipped two wheeler. 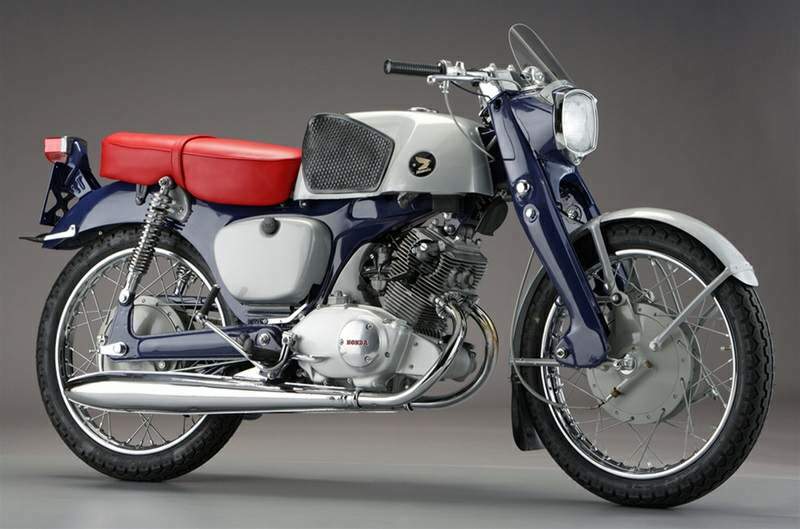 By 1960, Honda was building half of Japan's 1.8 million motorcycles and exporting 45,000. That was already more than the British were exporting, and the figure would multiply six fold in two years! 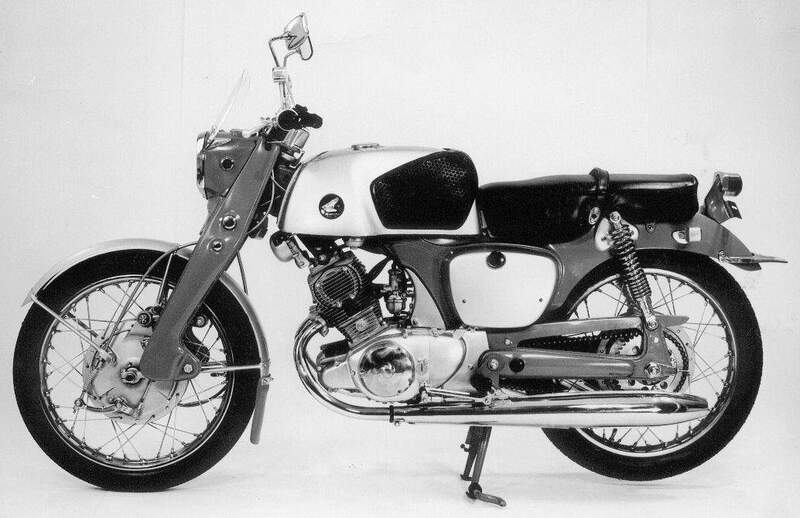 Built between 1959 and 1963, the CB92 was a sporty 125cc machine notable for its performance and its level of standard equipment.